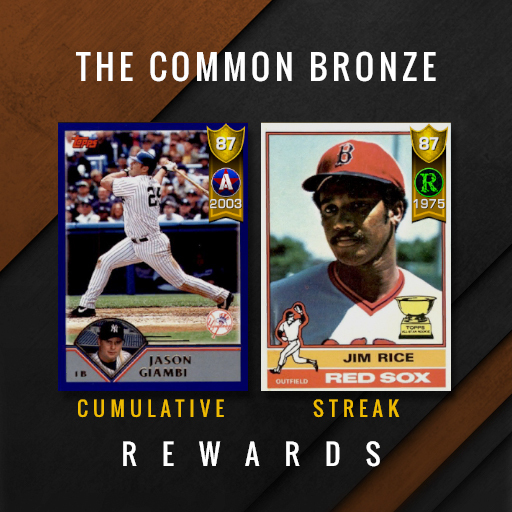 The first Diamond Dynasty Event in The Show 17 will be The Common Bronze Event! Do you have the managerial skills to build a Squad of only Bronze and Common players? Are you ready for a challenge at the plate and on the mound? All Events are free to enter. Your maximum team overall is capped at 79 OVR for The Common Bronze Event and you can only use Common and Bronze players. That gives you some wiggle room to find specialists with strengths in different attributes, but it will be tough to build a dominating lineup. Focus on your starting lineup and make sacrifices where you can on the bench to keep your team overall at 79 overall or below. It’s worth noting, Inside Edge will change daily and impact player ratings and overalls. Events have their own dedicated lineup, but only player items from your Inventory are eligible. You don’t have change your lineup on the My Squad screen unless you want to practice in Diamond Dynasty games or test your lineup-building skills. Now, Events, Ranked Seasons and Battle Royale all have their own distinct lineups, which makes it easy to jump between different Diamond Dynasty games. The Common Bronze Event consists of only 3-inning games. Events will vary in inning length this season such as 3, 6 and 9 innings. Q: Can I sell these rewards when I earn them? A: Yes. Q: Where can I see my rewards? A: In the Events dashboard once the Event begins and you enter your team. Q: If I win 10 games in-a-row, do I get the 4, 6, and 8-win streak rewards? A: Yes. Q: If I lose 1 game, can I start a new win streak to earn Streak Rewards? A: Yes. If you are 9-1 and then win your next 10 games (19-1 record), you can win the 10-0 Win Streak Reward. Q: If I lose 2 games and my current lineup is eliminated from the Event, does it reset my Cumulative Wins? A: No, the Cumulative Wins will continue to track until the end of the Event. This Event will prove who can play with the best on any level!